Web hosting allows you to occupy a space in the World Wide Web with the domain of your choosing. Not only that, but it’s also responsible for things like your website speed, reliability, and such. Plus, it takes care of the security of your site. 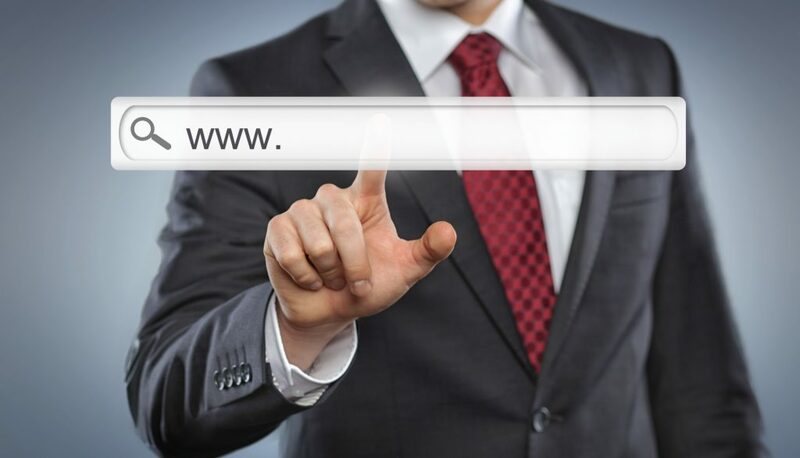 For these reasons, you need the best web hosting for small business websites. However, the right one for you can be hard to find as these functions are quite important. How do you know which one to trust, especially in an age when even the biggest ones are susceptible to hacks? Take a look at our complete guide below to know how to pick one for your website. Before you look for web hosting services, you must first determine the needs of your website by considering the factors below. In order to choose the right type of web hosting, you must first consider what type of website you plan to build. Are you looking to set up a blog for your business? Then you might have to turn to WordPress, hence you’ll need WordPress hosting services. Around 8 in 10 Americans are shopping online, which is a good reason to set up an online store for your business. For that, you’ll need to find a web hosting solution that focuses on the specific needs of an e-commerce site. This includes security involving customer information and the integrity of payment gateways. You might also consider one with integrations with PayPal and the likes. Whichever site you’re planning to build, make sure the hosting provider you choose will cater to the needs of that specific type of website by looking at its features. Some hosts, for example, have website builders for if you need one for something like a resume website. How much storage and RAM do you think your website will need? You’ll need to make sure your hosting provider has a plan that will accommodate those needs. Many offer unlimited storage. You’ll need this if you’ll publish a lot of high-resolution images on your website. However, be aware of the terms that come with these so-called unlimited plans. Unlimited here doesn’t mean infinite. Providers take into account the average consumption of their customers. If you go way above the average, they might charge you or force you to another plan that better suits your needs. You’ll also need a higher bandwidth if your website will have a lot of downloads and videos. If you’re anticipating heavy traffic, it’s good to have a lot of bandwidth that also accounts for traffic spikes. It might not be that necessary at the start, though, as you can upgrade anytime anyway. There are 3 types of hosting plans, and the right one for you will depend on your needs. In a shared hosting plan, you share the server with other sites. This means you share the storage and bandwidth. If one site takes up too much of either or both, you and the other websites on your server get less. Still, it can be great for those only starting with not much storage and bandwidth needs. If you need better performance, you may prefer getting a VPS plan instead. In this plan, the provider uses a virtual machine to partition a server into multiple servers. Although you’re still sharing the main server, your website gets its own private one. This is great for when your business needs increase. This will require you to have some technical knowledge, however. Otherwise, make sure to get a managed VPS so you won’t have to worry about the technical side of things. The third type of hosting plan is hosting with dedicated servers. This is better for websites dealing with high amounts of traffic. In this plan, you have full control over the whole server. You won’t have to share the performance with other websites. Now that you know your needs, it’s time to determine what to look for when considering hosting companies. As an entrepreneur, growing your business and leading it to as far as it can go should always be a part of your plan. As such, you need a hosting provider that can grow with you. It should make it easy for you to scale up (or down) as needed. You should also need to have the ability to accommodate sudden bursts of traffic. You might not need to upgrade to a better plan right away, but you might need higher bandwidth for only a short amount of time. Your host should be able to provide it as you need it. This will ensure that your customers’ experience with your website won’t diminish. Once the spike has subsided, you should be able to go back to your normal resources with ease. The reliability of your website will depend on your hosting provider. Did you know that the average cost of network downtime adds up to $5,600 per minute? That’s what’s on the line when choosing hosting services. This is because every second of downtime means loss of potential customers and sales. It might also hinder the productivity of your employees, and it can deal a huge blow to the image of your brand. Look for hosting services with a guaranteed uptime of 99.9% as this is common in the industry. Those starting out should be fine with this. Some larger businesses might have to pay for more for 99.99% uptime or better, though. Some providers even offer reimburses for any sudden outages. Providers will often guarantee an uptime, but if this information isn’t available, read reviews. Some review sites publish the host uptime information. As an alternative, use a server monitoring tool to check for yourself. We recommend getting a plan with unlimited bandwidth usage even for new websites. You can find some plans wherein you’ll only pay for every GB you’ve used, but this can be more expensive in the long run. Sure, this can be more cost-effective in the first month or so, but if you’re not checking it, you might end up paying more. As we’ve mentioned earlier, make sure to read their terms and conditions about the bandwidth. Take note of their limitations and restrictions, then see if they can cater to your needs. Most reputable web hosting companies should be able to provide you a full control panel. Here, you can upload pages, access your files, and track your bandwidth/storage usage. You should also be able to see some statistics about your website. With expansive control panel options, managing your website becomes easier. You won’t need an FTP for the most part, and you won’t need much knowledge of programming and coding, too. Some have extra options like the ability to install plugins and tools for your website. You’ll be able to integrate tools like CMS to your website with ease through your control panel. If this is an important factor for you, make sure to review the control panel options of the web hosting provider first before committing. The operating system on which the servers of the hosting provider are running is an important factor, too. For instance, you’ll have to choose one that uses Linux if your website is going to have a CMS or a PHP. If you must know, most servers are running Linux. Note, however, that when choosing Linux, you must first check the support. Check the longevity of the support for the current version of the OS. In Linux, this can be as short as 6 months but it can be as long as 10 years, as well. Linux remains to be free and open source, while Windows is not. As such, there are licensing fees involved when hosting companies use Windows. This spills into the consumers and ramps up the hosting plans. Aside from that, you’ll have to pay for the licenses of other Windows products you want to use. With Windows, you’ll get an SQL Server Database. You’ll also get support for the .NET framework and other Microsoft-based technologies. If you’re going to run applications based on these technologies, you’re going to have to opt for Windows servers. All the cyberattacks in 2018 left billions of people vulnerable to identity theft, stolen information, and such. This emphasizes the need for a hosting provider with solid security measures to protect not only your data but your customers’ information, as well. This is especially important when you’re saving customer profiles on your website. Without the proper security measures, information like their payment info becomes vulnerable. Many websites have compromised security all because of their host’s vulnerabilities. Make sure to spend due diligence when choosing a provider and check what they offer. They should have firewalls, SSL encryption, SPAM protection, and such. These are only the basics, but choose one that offers beyond those. Many hosting companies offer protection from DDoS attacks, for example, and other attacks. When something happens on your website, you should be able to talk to someone who can help right away. They should at least offer 24/7 customer support. Websites can go down anytime, and attacks can happen anytime, as well. They should have multiple communication channels, as well. You never know when you don’t have access to a phone or when you don’t have an internet connection. To check the level of customer service of the provider, contact them to ask about their services. Judge them based on how helpful their answer is and how fast they responded to your question. The bad news is that while it’s a good sign, it doesn’t always mean that they’re the same way once you’ve become a customer. You may have to further read reviews to see what their current customers are saying about them. Other than these basic features, look for other extras they can offer on top of your plan. Stuff like automatic backups are a great help, it will keep your data safe, and you can always restore your website to its latest version when something goes awry. On that note, one-click restores are something you should look for in a hosting plan, too. They may also offer domain registrations for you even if you can get this service elsewhere. Your host having this service will simplify things, though, and more so if they also offer domain transfers. Some might also offer email accounts, which are important for businesses. If you’re in a bind on what to choose, you may look for ones offering free trials and/or money back guarantees. These will allow you to test out the performance of the provider’s services first before singing. This is important as migrating to another host after using another host for a long time is quite a hassle. Then, you need to determine the plan’s value for the price you’re paying for. There are some free ones that even though they’re free, you still can’t consider them to be value for money. This is because these may come with security issues and such. You’re better off with a cheap plan that offers some sort of structure. Still, depending on your needs, what you find a value for money might be more expensive than the average. Consider the features, reliability, and such when deciding if a plan is worth the price. However, don’t forget to take into account whether you need those features, too. What’s the Best Web Hosting Provider? There are quite a lot to consider when choosing the best web hosting for small business websites. Let us end your search, though, and check out our flexible and affordable plans for you. If you have any questions, don’t hesitate to contact us today.